Zoals de naam al doet vermoeden: een zoeklicht op zakformaat. HI/ME/LO/STROBE en een maximum van 2500 lumen. Oplaadbaar via mini USB. 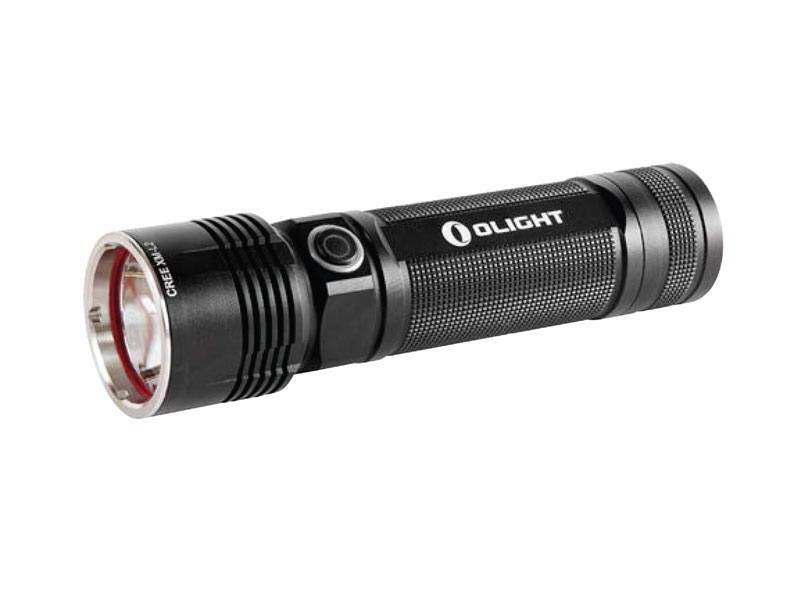 Olight never fails to impress and they did it yet again with their newest R40 Seeker rechargeable LED flashlight. Easily rechargeable through the built in Micro USB port, unobtrusive located on the tail cap, you'll be able to charge the R40 just about anywhere thanks to the included USB cable and USB charger. The multi-function side switch allows for On/Off activation, cycles through modes, and has an LED battery status indicator. Rechargeable lights offer non existent operating costs, and are ideal for lights that will be used day in and day out. 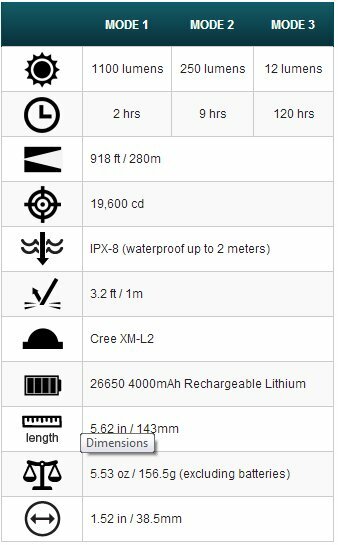 Even with all of these advantages the R40 does not sacrifice brightness, portability, or runtimes. 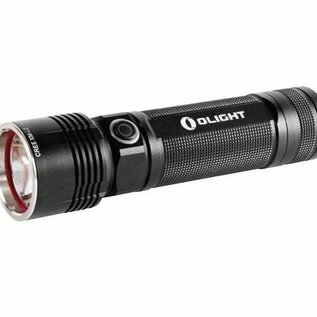 Offering 1,100 lumens in high mode and 100 hours of continuous use on low mode, the R40 is as bright as you'll ever need and still have long lasting runtimes when recharging isn't an option. 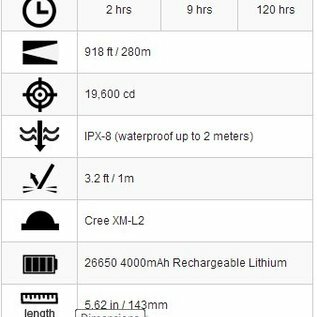 The construction and materials used in the R40 are up to the Olight standard, that is to say, only the best - IPX-8 (up to 2 meters fully submersible), 1 meter drop tested, aircraft-grade aluminum casing, and premium type III anodizing for scratch and wear resistance. This light is professional grade at a fraction of the cost of competitors - ideal for police, search and rescue, security, or domestic use. If you're tired of constantly replacing batteries and you've been looking for the perfect rechargeable light for your needs then look no further, the R40 Seeker is sure to be the perfect fit for you.